Following the 1980s PC revolution and the 1990s internet revolutions, recent decades, have experienced a revolution in sensor research which promises to have a significant impact on a broad range of applications including national security, health care, environment, energy, industry and food safety, and manufacturing. Sensor research is cross-disciplinary involving chemistry, physics, material science, engineering, biology and medicine. 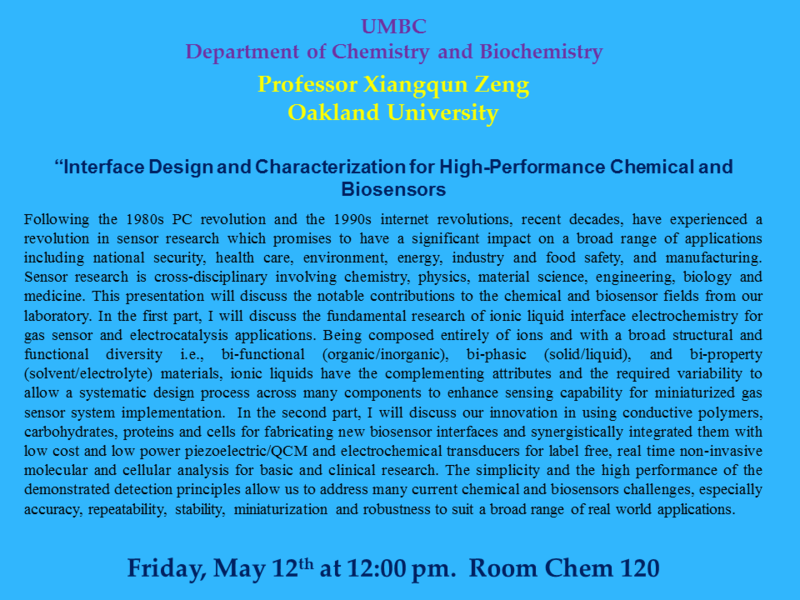 This presentation will discuss the notable contributions to the chemical and biosensor fields from our laboratory. 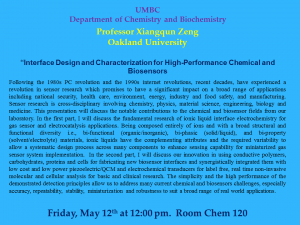 In the first part, I will discuss the fundamental research of ionic liquid interface electrochemistry for gas sensor and electrocatalysis applications. Being composed entirely of ions and with a broad structural and functional diversity i.e., bi-functional (organic/inorganic), bi-phasic (solid/liquid), and bi-property (solvent/electrolyte) materials, ionic liquids have the complementing attributes and the required variability to allow a systematic design process across many components to enhance sensing capability for miniaturized gas sensor system implementation. In the second part, I will discuss our innovation in using conductive polymers, carbohydrates, proteins and cells for fabricating new biosensor interfaces and synergistically integrated them with low cost and low power piezoelectric/QCM and electrochemical transducers for label free, real time non-invasive molecular and cellular analysis for basic and clinical research. The simplicity and the high performance of the demonstrated detection principles allow us to address many current chemical and biosensors challenges, especially accuracy, repeatability, stability, miniaturization and robustness to suit a broad range of real world applications.